One of the most exciting new staff members added to the team this year is Derek Loen. Derek is a senior this year at Blanchet and is involved in many activities throughout the school, from sports like Cross Country and Track to ASB Treasurer. 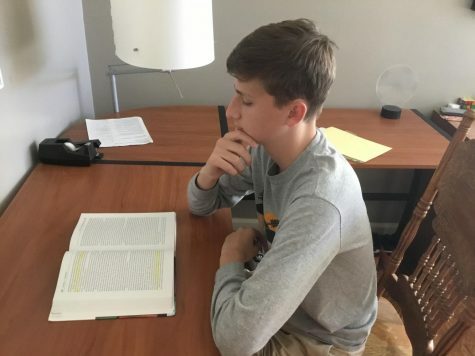 You can usually find him around the school working on one of his various extracurricular activities, talking with friends, or paying attention in the classroom. Derek enjoys reading the Seattle Times most mornings to catch up on the latest events. Derek's knowledge and involvement around the school will be a fantastic addition to this year's team.